The Alco S4 was the fourth model of switcher series the company produced and debuted a decade after the S1 and S2 designs in 1949. The American Locomotive Company (Alco) began production on the S4 directly after the S2 in June, 1950. It was quite apparent that railroads preferred Alco's more powerful small switchers as both the S2 and S4 far outsold both the S1 and S3 by more than 1,400 units! 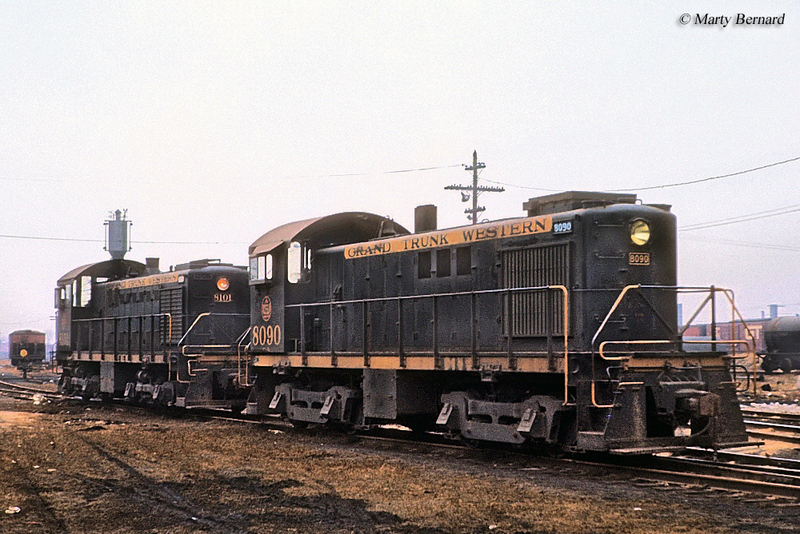 While not quite as popular as the S2, the S4 still sold nearly 800 examples and could likewise by found on railroads and within industrial settings all around the country. Alco's Montreal Locomotive Works branch (located in Montreal, Quebec) also saw a large number of orders from Canadian lines. Today, the S4 is one of the best preserved examples of Alco diesel locomotives as more than a dozen are either preserved or in operation on numerous museums and tourist lines around the country. The Alco S4 design began production in June, 1950 as soon as the last S2 had rolled off of the assembling line. The model is only slightly different from its earlier S2 sibling with minor carbody variations such as a relocation of the bell from behind the exhaust stack to the front of the hood (unless otherwise requested). Otherwise, externally both models could hardly be distinguished from the other. 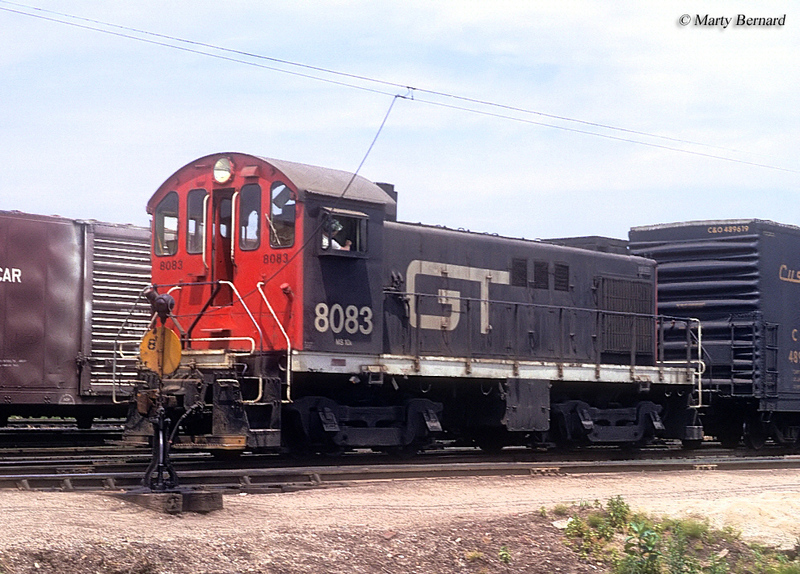 Internally, both designs featured four axles and traction motors and air components from General Electric and Westinghouse. They also both used McIntosh & Seymour's model 539 prime mover that could produce 1,000 horsepower and featured turbocharging. Finally, each model weighed in at just under 115 tons. There were more striking differences, though. The S4 came equipped with updated type A AAR trucks whereas the S2 had used Alco's very own Blunt trucks (one of the only manufacturers to design its own trucks). Additionally, the S4 offered much more tractive effort (a big advantage in the world of switching and shuffling cars); 72,400 pounds starting and 34,000 pounds continuous compared to the S2's 69,000 pounds starting and 29,200 continuous. Interestingly, while few Canadian or foreign lines purchased early models of Alco's Switcher class (the S1 and S2) many bough examples of later designs like the S3 and S4. The S4 also attracted many more industries due to the fact that it featured increased horsepower and tractive effort but retained the same size and dimensions of earlier models (making it agile and maneuverable in the tight spaces of such settings). Following the Alco S4 the company had a difficult time selling switchers, which was partly due to the fact that railroads began to find that road switchers could perform the tasks of switching and shuffling cars just as well, and could also be used in regular freight service. While the specialized needs of a switcher diminished to some extent by the 1960s, when Alco completed production of the S4 in 1961 it had sold some 782 units in total. The Canadian lines including the Canadian Pacific, Canadian National, Ontario Northland, Asbestos & Danville, Alma & Janquiere and industries Abitibi Power & Paper, Falconbridge Nickel Mines, and Quebec Iron & Titanium picked up some 145 S4s through Alco's Montreal Locomotive Works. The CN would come to own the most of these buying 113 units. 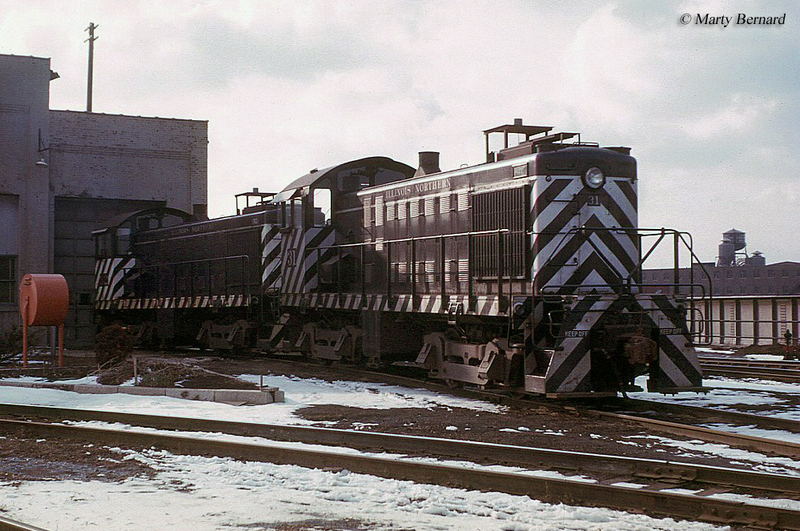 Interestingly, after the S4 Alco would sell less than 200 examples of its final three switcher designs including the special order S5, S6, and transfer model T6. For more information about the S4 please click here.